Stephanie has developed her expertise in marketing management and brand development over 20 years of planning, implementing and overseeing successful cross-channel marketing and branding initiatives across an array of industries including Technology, Energy, Consumer Product Goods, Wine & Spirits, Financial Services, Fitness, and Law, on both the client and agency side. 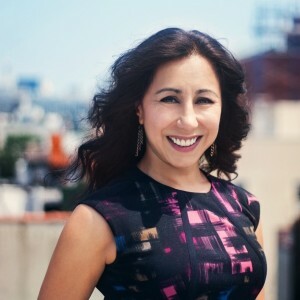 She is a regular attendee of social media, technology and digital marketing events throughout the New York City area. Stephanie holds a BA in Marketing from Michigan State University, an MBA in Management Systems from Fordham University, a Professional Certificate in Digital Media Marketing from New York University, and the Digital Marketing certification from General Assembly. Stephanie also earned the ServiceNow SELL Learning Path Certificate, and the Amazon Web Services (AWS) Business Professional Certificate. She is a strong believer in social responsibility and volunteers her time regularly to various not-for-profits, including New York Cares and Bowery Residents’ Committee (BRC), and walks annually for sponsorship dollars on behalf of the AIDS Walk New York. Stephanie is a member of the National Association of Women Business Owners (NAWBO).